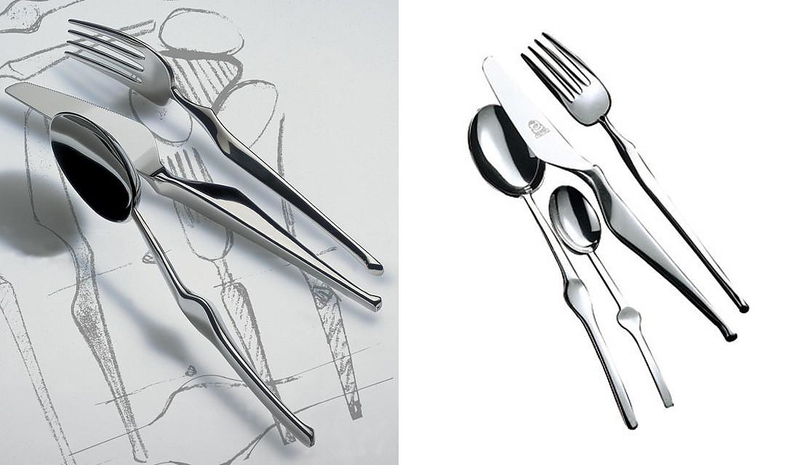 HomeBlogHome DecorMepra Ergonomica Cutlery by Angelo Mangiarotti. 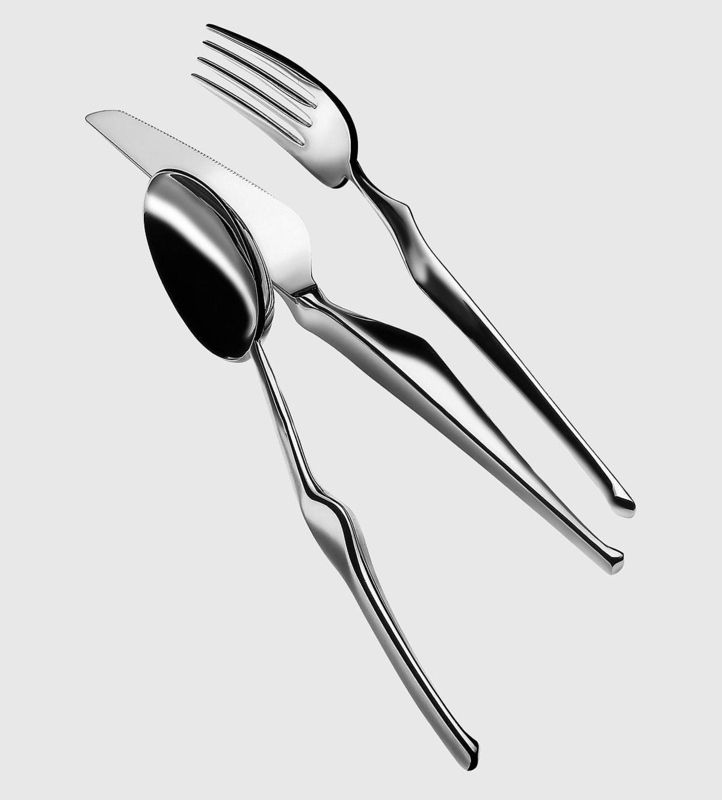 The Ergonomica cutlery were Designed by award winning Italian designer Angelo Mangiarotti for Italian brand Mepra and will add a touch of style to your table. 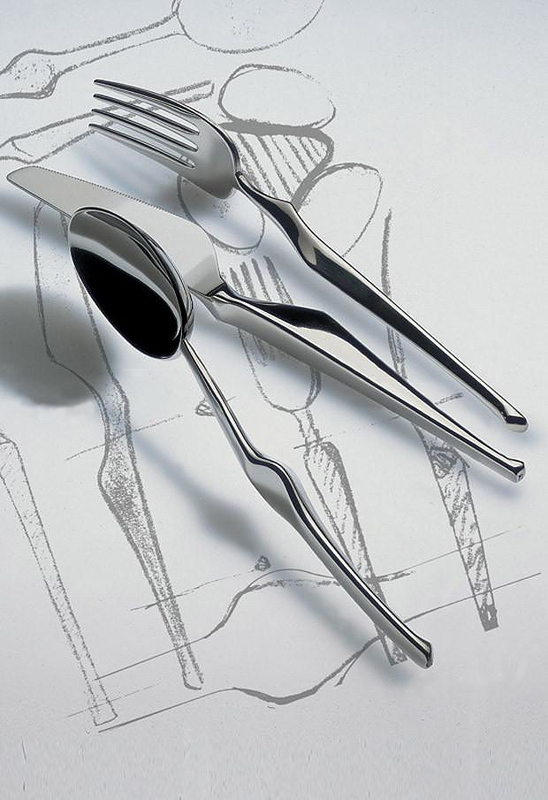 Mepra Ergonomica line of cutlery was first introduced in 1989 and they were designed not only to look good but also to be highly ergonomic. They are made of stainless steel and are extra heavy compared to traditional cutlery. The extra weight is actually beneficial to the overall feel when using them, since the Ergonomica are perfectly balanced. This flatware is rich in appearance, well-polished and perfectly finished. The spoons feature a sculpted flat middle, which indicates the perfect point to hold the spoon for optimal leverage, while the forks and knives are shaped in a way that makes it easier to hold them firmly. Due to their elegant design and their remarkable quality the Mepra Ergonomica cutlery are among the favorite accessories of upscale hotels and restaurants around the world. 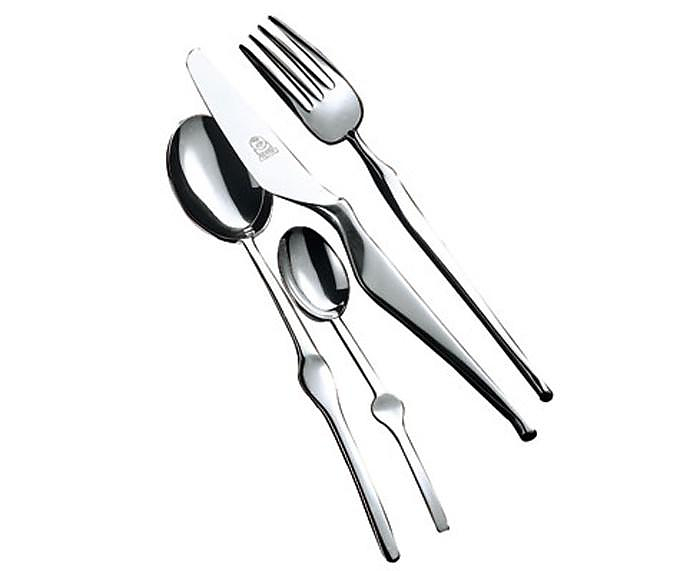 Rightfully so they are considered by many in the hospitality industry to be the “Rolls Royce” of flatware. 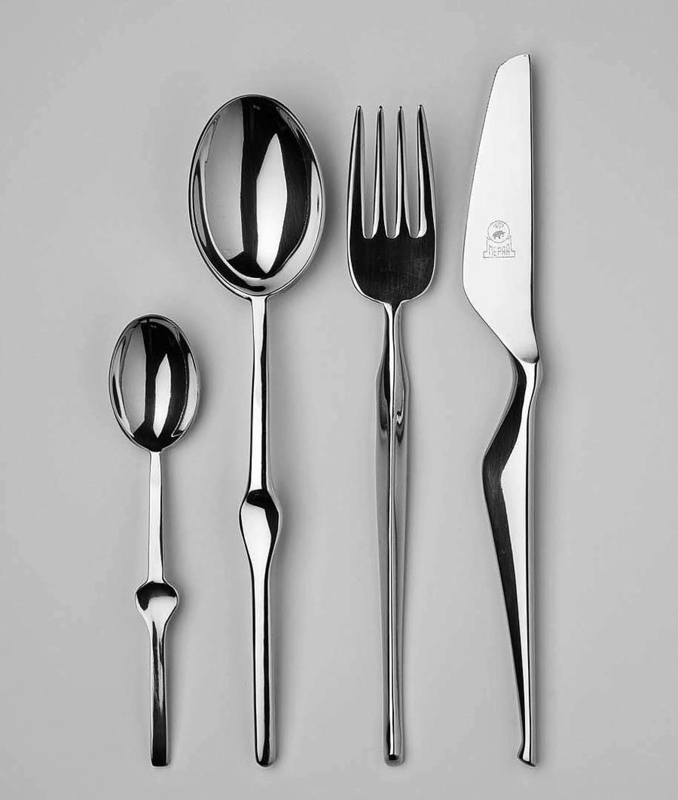 Mepra the Italian company that makes this fine flatware is an iconic brand. It was funded in 1901 by the three Prandelli brothers, Bortolo, Francesco and Giovanbattista and to this day creates some of the worlds’ finest cutlery. Their products are strictly “Made In Italy” and they stand out for their superior quality, which makes the company very popular among hospitality professionals. Another interesting fact is that they spend 8% their turnover in Research and Development, one of the highest ratios in our industry. “Mepra embodies three generations of Italian tradition, design and lifestyle, Made in Italy”.